The 2018 partypoker Caribbean Poker Party is bringing a $10 million guarantee and a new resort as host. The majority of the poker world may be transfixed on the massive World Series of Poker schedule happening right now in Las Vegas but those in the know are already planning on where to recover after a long summer grind. The partypoker LIVE Caribbean Poker Party festival, one of the most anticipated live stops of the year, returns in 2018 from November 9-18. The Caribbean Poker Party comes with a massive guarantee and a brand new venue that promises to be more than enough reason to hop a flight to the Bahamas. One of the first things players will notice is that the Main Event guarantee has doubled from 2017 from $5 million to $10 million. partypoker’s LIVE MILLIONS schedule continues to push their guarantees and make good on their promises to make their live events a “must-play” affair. The details of the Main Event will be familiar to those that have played one of the more recent MILLIONS events. The tournament comes with $5,300 buy-in and follows a similar structure to the Main Event held in April at the Playground Poker Club in Montreal. Players start 100bb deep, with 1,000,000 in chips and all Day 1 starting flights have 40-minute levels. Those who survive to Day 2, will enjoy 60-minute levels. Those who don’t, well, they’ll be able to enjoy the beach. At least three players in the Main Event will walk away as millionaires. First place is guaranteed $1.4 million, the runner-up will take home $1.2 million and the bronze medalist will leave with $1 million. The Main Event will be but one of an entire festival of events that will include the $1,000 MILLIONS Opening event, a $10,000 and $25,000 High Roller and a $5,000 MILLIONS Finale. 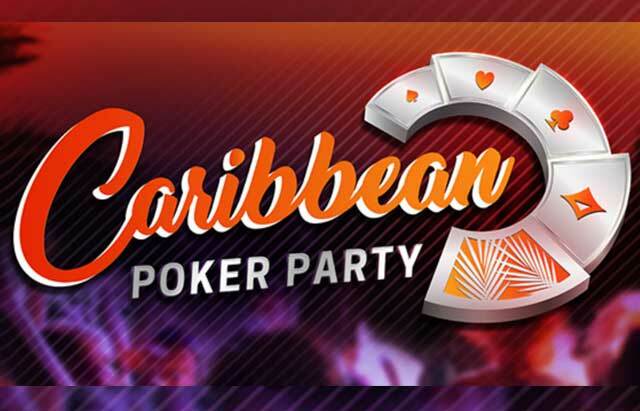 partypoker officials are going for broke during the Caribbean Poker Party this year. They will need to nearly double the 2017 turn out in order to hit their money mark. In 2017, 1,061 runners made their way into the Main Event. Canadian pro, and PocketFives member, Sam ‘Pudge714’ Greenwood secured his second career million dollar score, taking home an even $1,000,000. It was a field packed with notable names from the poker world. Jason Koon, Mike Sexton, Maria Ho, Felipe Ramos, Joao ‘joaosimaobh’ Simao, Seth Davies, Alex Foxen and Steffen Sontheimer all made the trip and left having made the money. In 2018, it’s not only the guarantee that will change. partypoker has relocated the festival to a brand new location. The exceptional new resort Baha Mar will play host to poker players from all over the world. From the description, the resort will treat every player as if they were a high roller with 20 restaurant options, plenty of bars and lounges, a golf course and spa. The casino itself is said to be wide open with a view of the ocean and resort pools. partypoker has already begun running satellites for a package worth $12,000 with satellites starting for as little as $0.50. The package takes care of everything. It includes a Main Event seat, nine nights bed and breakfast at Baha Mar, room credit for the resort worth $1,000 and an additional $2,000 in cash to help players pay for travel expenses. Players can opt in to play at any stage – $0.50, $11, $22 or $109 and even buy directly into the finals which run on Sundays and come with a 10-package guarantee. Satellites to the 2018 partypoker LIVE Caribbean Poker Party are running right now on partypoker. The 10-day festival gets underway on November 9.